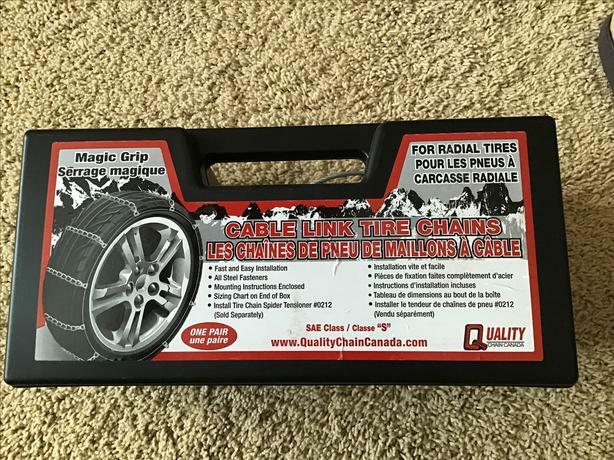 New Magic Grip cable link tire chains - not used and still in box. Paid $90. Asking $50. Class "S". Instructions and box included. 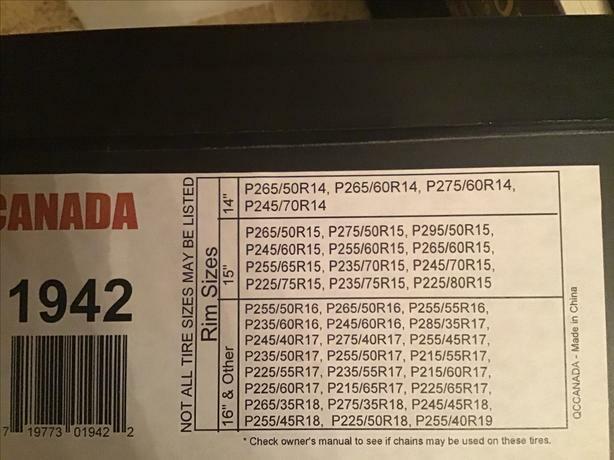 See second photo for a list of tires that it fits. *Note the list is not inclusive so cross reference with your vehicle's owner manual to see if they will work for you.